The march, led by SAD president Sukhbir Singh Badal and Union minister Harsimrat Kaur Badal, started from Gurudwara Pratapganj and ended outside Parliament Street police station. NEW DELHI: The Shiromani Akali Dal (SAD) Saturday took out a protest march to seek justice for the families of those killed in the 1984 anti-Sikh riots. 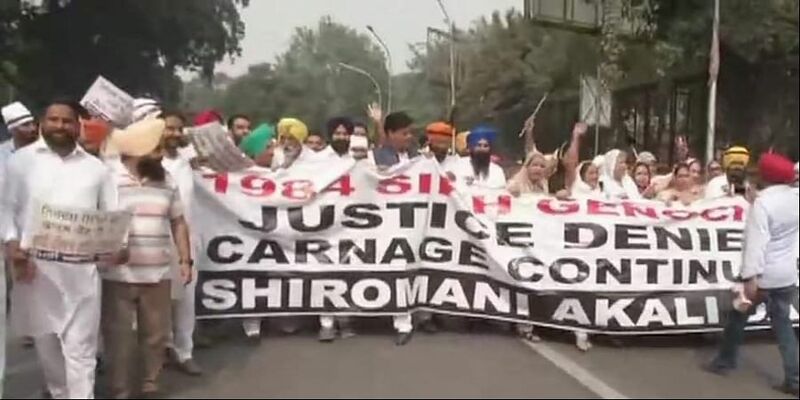 The Akali Dal has been seeking justice for the victims of the 1984 anti-Sikh riots in which a large number of Sikhs were killed in the national capital and in other parts of the country in the aftermath of former prime minister Indira Gandhi's assassination by her Sikh bodyguards.